The "convergence" that people have been talking about for over two decades usually refers to the convergence of television and what is now known as the World Wide Web. Essentially, getting Information and entertainment in one place–your living room screen. There have been attempts at such convergence for nearly as long as people have talked about it (I myself was involved in a very early attempt known as videotext…but that's another "we blew millions of dollars" story for another time). Most convergence projects have failed miserably, including even recent forays by the likes of Apple (see Apple TV Hype). But a confluence of technologies and regulations may be bringing convergence closer to reality. At the beginning of July, FCC rules regarding cable boxes came into effect stipulating that cable companies must now separate the cable security controls from the set top boxes most people rent. It only applies to brand new cable boxes (most are simply refurbished models), but it may spur the adoption of so-called cable cards. Cable cards are credit card-sized devices that are programmed with the descrambling information needed for you to legally watch the channels you pay for. Cable cards have the virtue of being removeable, so that you could plug one into a TV's cable card slot and do away with the cable company's box (and lower your monthly charges in the process). But the real importance of cable cards is that they may open up other services through your television. Tivo's top-of-the-line box, for example, can accept a cable card. Thus eliminating the awkward programming hassles and IR blasters needed to get the darn DVRs to change channels. It also improves the picture from a Tivo box by eliminatng the digital to analog to digital conversion of the television signal. More important, the cable card feature also makes new services much easier to deliver. 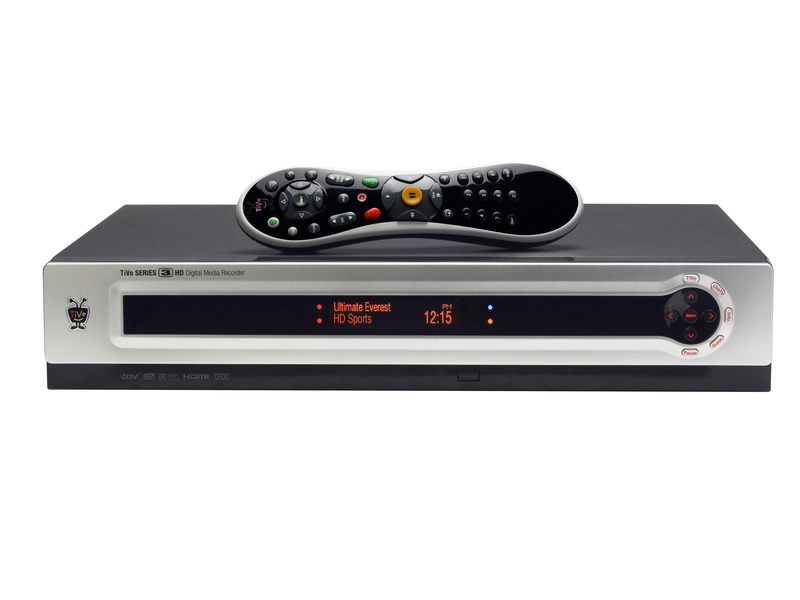 As an example, Tivo and Amazon recently announced that they would begin offering Tivo suscribers movies to rent or own delivered directly from Amazon.com to their Tivo boxes. No computer required. It essentially directly connects your TV to the Internet and that's something no one else has yet been able to do in such a sleek fashion. "So what?" you may well ask, "I can already order movies on demand from the cable company on my TV." Yes, but the difference is that an Internet store like Amazon could potentially offer you a much wider array of titles–and possibly better prices. The move toward convergence will be slow, however. Tivo's Series 3 box is expensive and the monthly subscriber fees onerous. But there are other smaller, nimbler companies out there looking to offer new services that hinge on cable cards. So stayed tuned…. This entry was posted in Uncategorized and tagged apple, cable card, convergence, quain, tivo. Bookmark the permalink.